The International Chess Festival “100 Years of Mikhail Botvinnik” is taking place on 11-20th August at the Mikhail Chigorin Chess Club in St. Petersburg, Russia. The 9-round open tournament offers the prize fund of 25.000 EUR, with top prize being 4500 EUR. The winners will qualify to the final stage of Russian Cup according to the Russian Cup 2011 regulations. The Russian Chess Federation is organizing a number of events dedicated to the 100th anniversary of the 6th World Champion Mikhail Moiseyevich Botvinnik (17 August 1911 – 5 May 1995). 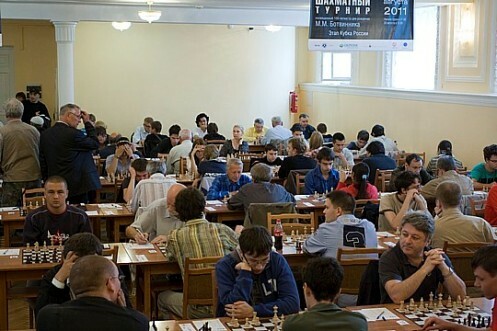 Besides the St. Petersburg Open, a seniors’ tournament is currently ongoing in Suzdal-Vladimir, while the world’s best players will meet in Moscow on 1-5th September. 166 players compete in the Mikhail Chigorin Chess Club. 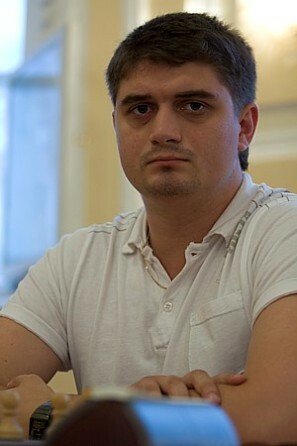 GM Pavel Ponkratov started furiously with five consecutive wins and only in the sixth round conceded a first draw. He is the sole leader with 5.5 points, half a point ahead of the larger group of players. 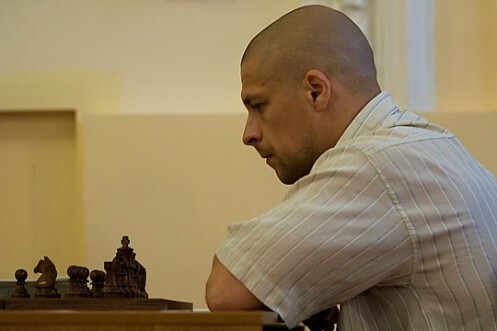 A 13-round blitz chess tournament was held on 11th August, prior to the start of the main Open. A familiar face, GM Pavel Ponkratov, took a clear first place with 10 points and claimed the top prize of 750 EUR.